They look like a mackerel tabby. They’ll look at you with an innocent face that can make you think of a cuddly cat but, suddenly, they’ll give you a big surprise! The next thing you know they’ll jump in the water and swim in a circle like a seal. 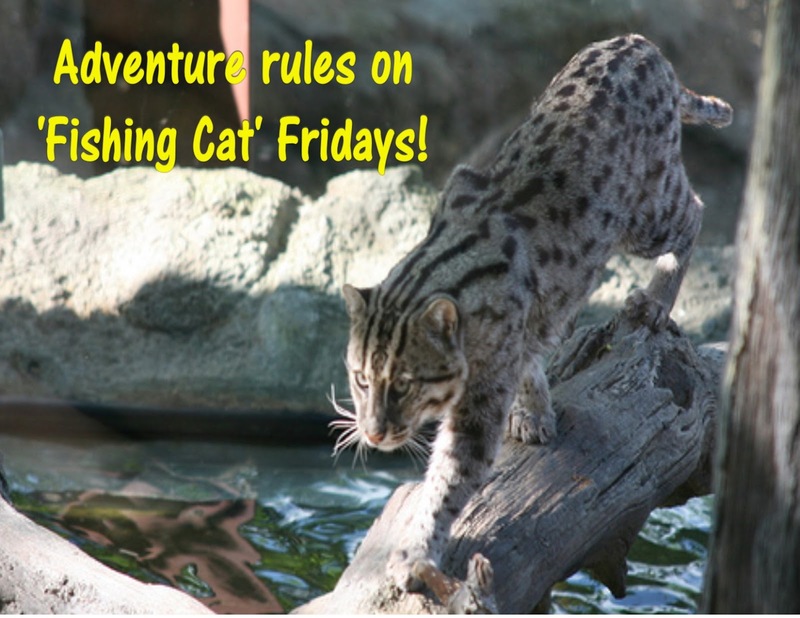 Say hi to the Fishing Cat everyone! Sure, you’ve heard about it in passing and you might have seen one in a zoo. This is one of those cats that you can either brush it off or make you gasp in awe. How in the meow is it paws-ible that a cat can swim like this? Well, since a lot of you worry about basics- let’s try an all-out description of this cat. 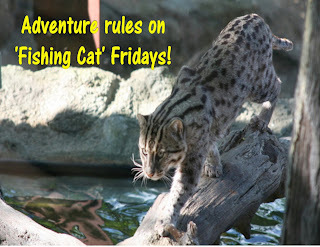 Fishing Cats are short, stocky and they have webbing in between their toes which makes it paws-ible for them to swim. They have two layers of fur. One layer makes sure that their body stays warm and relatively dry in the water. Their outer layer is longer and that makes it easier for them to blend in with the scenery. If you want to get technical on their appearance these cats measure 14 inches at the shoulder and they’re an estimated 22-45 inches long. Males are known to be longer than females and they usually weigh more as well. Tails are 9-16 inches long. According to the IUCN Red List, Fishing Cats are categorized as ‘Vulnerable.’ They are native to Bangladesh, Cambodia, India, Myanmar, Nepal, Pakistan, Sri Lanka and Thailand. It’s paws-ible that ‘Vulnerable’ might be generous in terms of location and I’ll admit it, I’m no expert but to me, these cats are one of the coooooolest ones out there so be sure to stop back every ‘Fishing Cat’ Friday for more ‘tails.’ I guarantee you’ll grow to love these cats if you do!